The Cal Poly Technology Park is a home on campus for technology-based businesses -- particularly firms engaged in applied research and development. The park increases collaboration between Cal Poly and industry and enhances the ability of park tenants to draw from the expertise of Cal Poly faculty and students. ABI provides research and consulting services for private companies, government institutions and NGO’s. Specializing in plant biotechnology, the company has extensive experience in products targeted for industrial, animal health, human health and crop improvement markets. ATA designs, builds, and manufactures oil industry technology products. Borehole surveying instruments (both gyroscopic and magnetic), MWD (measurement while drilling) systems, and production logging systems. A sister company, Scientific Drilling (SDI), uses technology developed by ATA to provide services to the oil industry, including borehole surveying, wireline steering, MWD, production logging, and more. Scientific Drilling is an international company with offices located world-wide in most major oil producing areas. The California Strawberry Commission is a State government agency located in Northern California charged with conducting research to support California’s strawberry industry. With an emphasis on sustainable farming practices, the Commission works with strategic partners focusing on production and nutrition research, food safety training and education, marketing and communications, trade relations, and public policy. The Cal Poly Digital Transformation Hub provides students with experiential learning opportunities in the public sector. Cal Poly has a respected history and passion for the Learn by Doing approach to education and Amazon Web Services is a leading provider of scalable cloud computing services. As the world’s first university-based innovation program powered by AWS, the Cal Poly DxHub is dedicated to connecting public sector organizations with engaged students and world-class technology expertise. 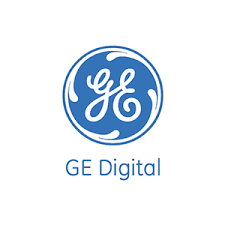 GE Digital connects streams of machine data to powerful analytics and people, providing industrial companies with valuable insights to manage assets and operations more efficiently. World-class talent and software capabilities help drive digital industrial transformation for big gains in productivity, availability and longevity by leveraging Predix, a cloud-based operating system, purpose built for the unique needs of industry. Healthcare IQ is an independent data management and analytics company that is setting the industry standard for healthcare informatics. A wide range of data collected throughout a 12-year period is the solid foundation upon which Healthcare IQ and its suite of products and services are built. In addition, the company has a highly specialized team of healthcare technology experts, analysts, operations managers and clinicians who work collaboratively to provide highly effective results for our customers. H. T. Harvey & Associates is an ecological consulting firm with an over 40 year tradition of mixing pure research, applied research and ecological consulting. H.T. has successfully completed well over four thousand projects for a clientele balanced between federal, state and local agencies, as well as for private clients. Research is typically funded through grants from the National Science Foundation, NOAA, private research foundations, and other entities. Microcon is a custom software design and development business developing applications for client/server, web, and mobile platforms. Microcon’s areas of expertise include restaurant and hospitality, multi-unit operators, POS integration, mobile, and web service applications. Specialties include cloud-based HR/onboarding software, and custom software development. Microcon celebrates its 33rd anniversary in 2016. Securematics is an award-winning, high-touch U.S. technology distributor that specializes in secure networking solutions, services, and support. Channel partners choose Securematics for its proven expertise, partner enablement resources, and overall business execution. Securematics is a preferred distribution partner for many of today’s leading and emerging networking and security brands including Juniper Networks, Pulse Secure, Ruckus Wireless and SonicWALL. Soon we'll make it fun and easy to turn that idea into a movie script! SoCreate is working on a new way for people of all ages to transform their amazing stories into scripts for movies and TV shows. This process will be as easy as posting status updates on Facebook! Before you know it, you'll be writing your very own movie, TV show, theatrical play, or YouTube masterpiece. It'll be that easy. If you’re interested in seeing your brilliance on The Big Screen, join the revolution by signing up for updates on our progress and a chance to gain access to our beta. Software Inventions LLC is a custom software solution provider.